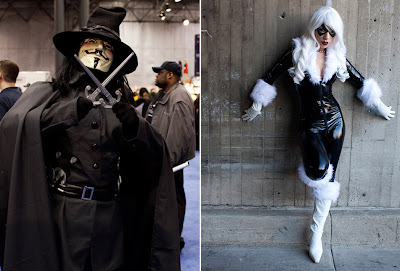 V from V from Vendetta and Black Cat strike a pose in cool. Snake Eyes is one of the best get-up's I have seen, but something tells me Storm Shadow doesn't want to move to the next coat check location - sorry sign. What's a 'Con without some dude dressed up as Spidey? 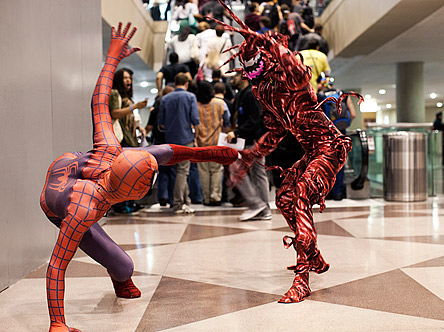 But Spidey battling a decent Carnage - now that's a photo! For more great snaps, visit TIME.com. Great photos Dan I love em! just what i was hoping to see from you at this convention. I saw one pair dressed as Cloak and Dagger: definitely not heroes you see much in the cosplay world. 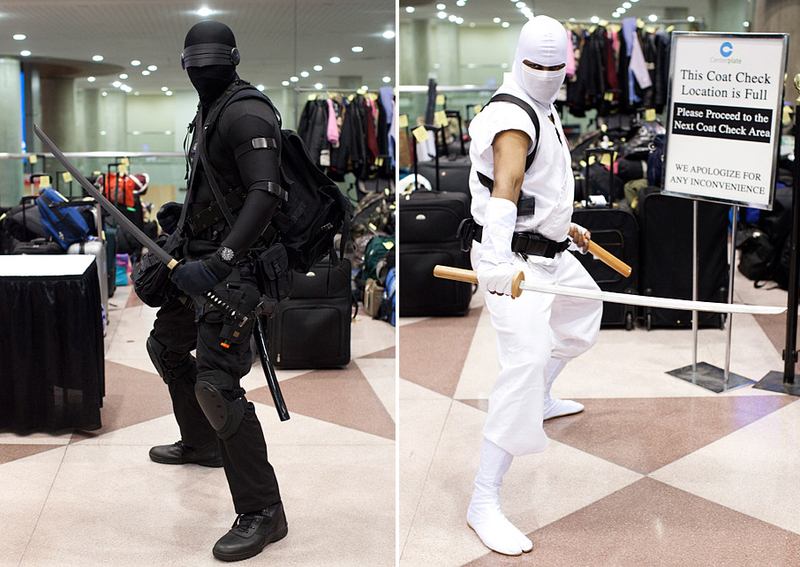 I took some cosplayer pics which will be on the Shrine tomorrow. Glad you liked the pics guys. Cloak and Dagger!? That is a cool choice Rob! And remember folks reading this jump over and check out Rob's Aquaman Shrine - it is celebrating it's 4th anniversary at the moment and that is something you want to be part of! I'm loving the Black Cat costume myself. She's no Rogue or Psyloche, but she'll do in a pinch.